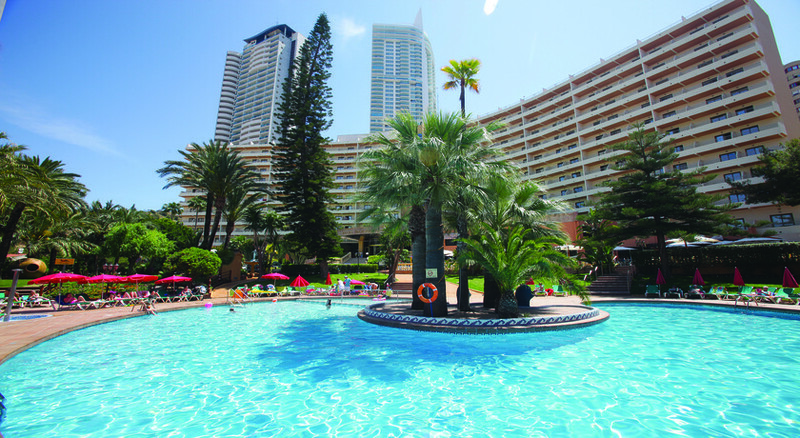 Palm Beach Hotel Benidorm, just 10 minutes’ walk from the scenic beach of Playa Levante is a luxury family-friendly hotel nestled amongst tropical gardens in a quiet neighbourhood. With its impressive wide entrance reminding guests of a class Roman touch, this is a retreat of sophistication and charm basking in warm hospitality. Offering spacious, air-conditioned rooms, with private balconies that offer gorgeous views, this hotel offers guests a comfortable stay with extensive facilities such as outdoor pool, playground for kids, garden, disco and an intimate restaurant. For meetings and weddings, the hotel has wedding lounges and the Salon Dalí. The hotel offers free Wi-Fi; this is a great choice of accommodation in sunny Benidorm. Located strategically in quiet neighbourhood, the property is just 2.5km from the exit of "Playa Levante" of the highway AP7. It has easy access to the beach just 750m away. There are two theme parks for a day of fun and frolic for the whole family—Aqualandia and Mundomar—where they can have an exciting time with nature and animals. Casino Mediterraneo Benidorm is 850m away. The airports of Alicante and Valencia, at 60km and 150km from the hotel respectively. The 299 well-appointed guestrooms at the Palm Beach Hotel Benidorm come in categories like quadruple rooms, double rooms, mini suites and imperial suites. The guestrooms are divided as 290 double rooms, eight mini suites and one imperial suite. The spacious, air-conditioned guestrooms come with private balconies and magnificent garden views. The Palm Beach Hotel has a lovely terrace bar and an exclusive restaurant that offer delicious cuisine and drinks in a relaxed ambience. 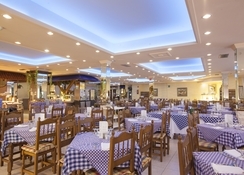 The buffet restaurant El patio serves breakfast, lunch and dinner, including Spanish and international cuisines. Expert chefs dish out varied fare from the freshest of ingredients. The Salon Hawai is a refreshing terrace bar of open and large spaces with beautiful views of the pool that serves hot and cold drinks, cocktails as well as tasty snacks and sandwiches. 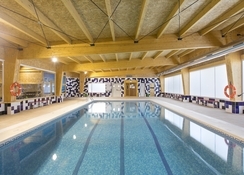 The Palm Beach Hotel has an all year indoor pool, as well as another outdoor, where guests can have a splash-tastic time. For children, there’s a mini football pitch, playground and children's activity centre in the summer. 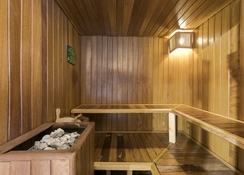 For those who wish to stay active, there is a fully-equipped fitness centre and sauna. 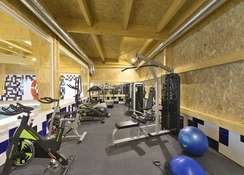 There are facilities for sports like darts, table tennis, billiards (additional charge) and a games room. The hotel arranges exciting evening entertainment and there’s a nightclub with DJ as well. Bedrooms were small for 3/4 persons. 2 double beds in each room with one against the wall. Mattresses were awefully uncomfortable. The staff need to smile a bit more to there customers. Nice long walk to beach and shops.